Whether you’re a professional musician or a music lover, an audiophile or a recording engineer, you’ll be looking for similar qualities in your audio and AV systems: “verisimilitude to the original event, a sense of engagement promoting suspension of disbelief, and a visceral immersion in the audio and video experience,” notes Furutech. To achieve this requires meticulous attention to the entire playback chain, including the all-important power cables. Furutech has spent many hours gathering extensive feedback from musicians and recording professionals in the process of developing its new power cables. Based in Tokyo, the company’s design team has amassed a considerable body of expertise (as well as a raft of patents) in what they call “pure transmission” – preserving the integrity of the signal path and delivering an end result that is accurate, honest and uncompromised. To achieve this, the team turns a macro lens on every element of power transfer and applies innovative engineering solutions to well-known problems such as contact resistance, EMI and RFI rejection. 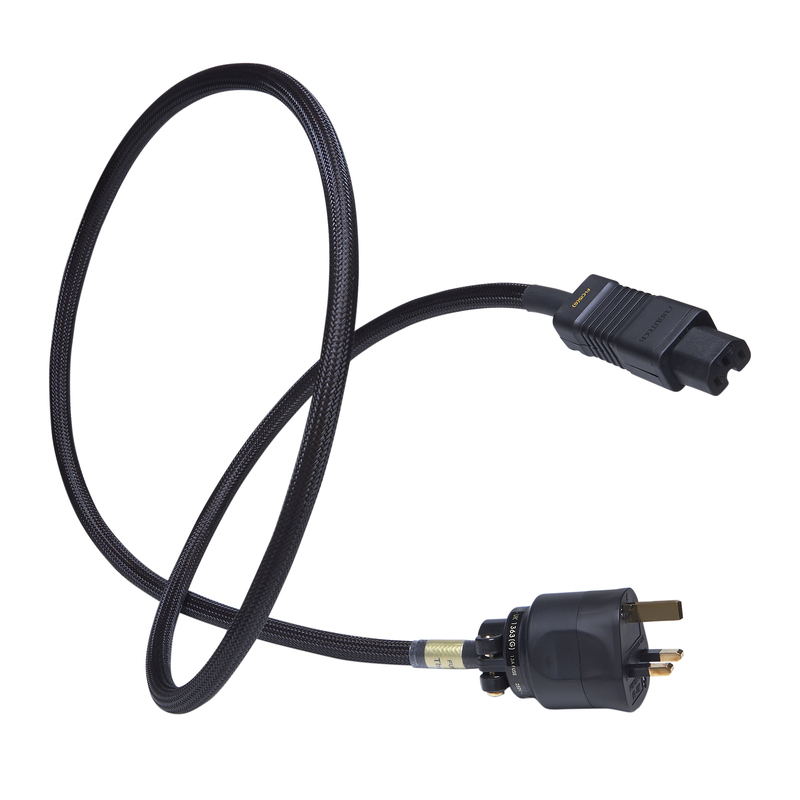 The new Empire power cable features the company’s innovative ‘PC-Triple C’ power conductor, which is crafted using a proprietary forging process involving repeated rounds of metal folding – not unlike the method used to create the katana, the famous Japanese Samurai sword. In this case, however, Furutech applies variable levels of high pressure to high-purity oxygen-free copper (OFC), resulting in a forging process that would be the equivalent of folding the steel of a katana tens of thousands of times. This process ensures that the crystal grain boundaries deep inside the copper are rearranged so that the electrical current travels through the signal path more smoothly than ever before. A low capacitance, audio-grade PVC dielectric surrounds each of the Empire’s three 45-strand conductors. The three are then encased in an inner sheath created from lead-free, audio-grade PVC impregnated with electrically conductive carbon particles to damp the cable and reduce the adverse effects of static on the audio signal. This whole is then screened from external RFI pollution by way of a conductor shield constructed from a multi-strand OFC wire braid. An ultra-flexible outer sheath, again in lead-free, audio-grade PVC, surrounds the shield and the complete assembly is then housed in a tough outer sleeve of braided nylon yarn. 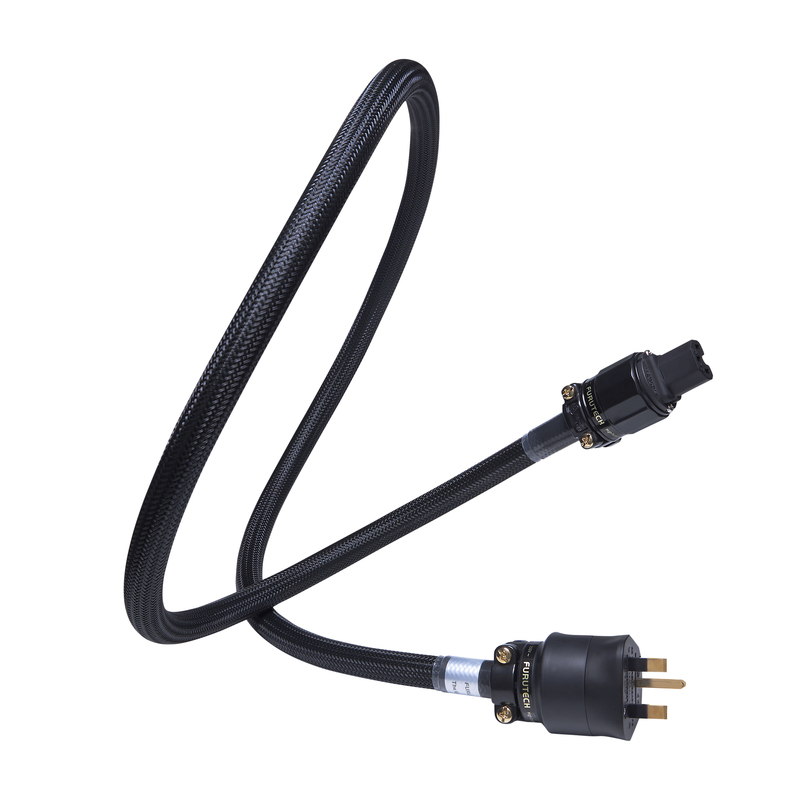 The Empire power cable is finished with Furutech’s renowned gold-plated power connectors, featuring the company’s patented Floating Field DamperTM grounding system, in which all metal screws in a connector are tied to ground via a metal ‘bridge’ to prevent the flow of noise and significantly reduce distortion for ultra clean and stable power transfer. Picking up Furutech’s new Roxy power cable, the integrity of the cable’s build is immediately apparent. What’s less apparent, until you peek ‘under the hood’, is the technology that Furutech has employed to achieve excellent results at a comparatively modest cost. The Roxy features a 37-strand silver-plated OFC conductor for each of live and neutral plus a 37-strand OFC earth core. Like the Empire, it includes five distinct layers of insulation and protection. An audio-grade polyethylene dielectric surrounds each of the three conductors, and the three are then encased in all-natural materials: a cotton inner filler, wrapped in a paper barrier layer, crafted to ensure none of the midrange ‘glare’ that can be all too common in many of the more affordable audiophile cables. Finally, like the Empire, the Roxy is finished with an ultra-flexible outer sheath in lead-free, audio-grade PVC and a tough, nylon yarn braid outer sleeve. Again, it is topped off with Furutech’s high quality connectors. In both the Empire and the Roxy, all metal parts are treated with Furutech’s trademark two-stage ‘Alpha’ cryogenic and demagnetization process, designed to render all metals stress-free, stable and highly electrically conductive – and enabling that all-important Furutech goal of “pure transmission”.